Bilstein 5100 Series shock absorbers have a gas pressure monotube designed specifically for lifted trucks, SUVs and Jeeps. The shocks feature a 46mm digressive piston with self-adjusting deflective disc valving. Bilstein 5100 Series shock absorbers offer superior damping ability that makes them ideal for heavy hauling or occasional light off-road use, while maintaining an exceptional street ride. 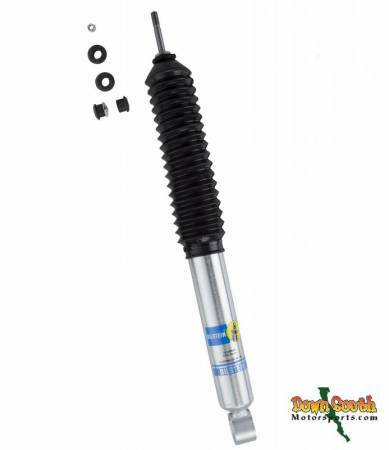 Bilstein 5100 Series shock absorbers feature a zinc-plated steel body for resistance to harsh on and off-road elements. Collapsed Length: 12.91" / Extended Length: 20.79"
Shock is a replacement for use in stock location.